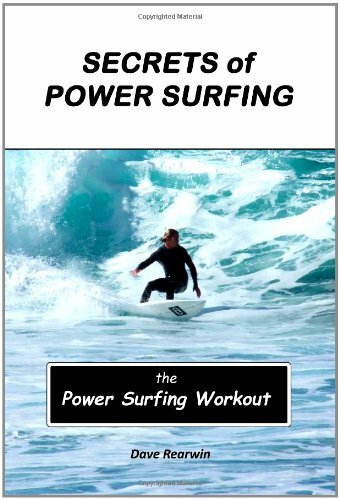 The ultimate book for surfers, would-be surfers, and anyone who wants to get in shape and stay there. A detailed surf manual that includes surfing exercises, tips on how to surf better, photos, surf stories and more. This book and Surf Better have the only simple, effective, zero-impact, surf-specific workout available. · Stretching exercises: for surfing, for other sports, and for daily life. · Surf exercises: specific exercises for surfing fitness in all phases of surfing, including paddling, popping up, board control and general flexibility and agility. · How to surf: from observation to dermination to common sense, a collection of tips and advice on how to surf better and have better surf sessions. · Surf stories: a variety of surf scenes witnessed and surfing situations experienced, to illustrate the points made in the book. · Surfing photos: each photo illustrates a point made in the book. NOTE: Surfers looking for a more technical presentation of surf and surfing may prefer Surf Better by the same author. Sidelined by sports injuries, he developed a series of non-destructive, zero-impact, surf-specific exercises (many derived from physical therapy workouts) that allowed him to get back into surfing after a layoff of several years. These are the exercises that form the core of this book.